If military history and memorabilia are your thing, then this is the place. 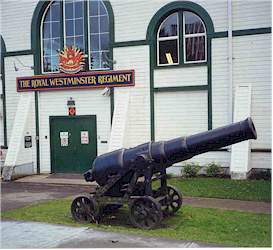 New Westminster, the oldest city west of the Great lakes, has a history of serving proudly in both world wars with 28 battle honours. Photos, small arms, and other memorabilia dating back to 1863. Housed in the old gun room of the historic Armoury.